Guest blogger True Lewis blogs about family history. 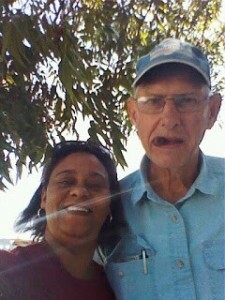 Her blog is a personal diary about her slave Granddaddy Ike Ivery and the Miles Daniel Family. Along with her mother’s European heritage, her ancestors come from Bullock County, Midway, Alabama, and Houston County, Georgia. With strong roots in Cumberland County, Newville, Pennsylvania, she’s been blogging for three years as of November 7. 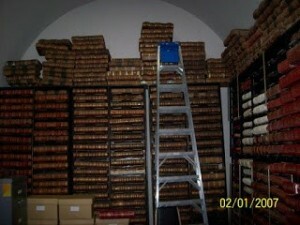 I had been pondering what to do with all my genealogical research. I had helped create the family website along with my cousin Lisa. I wanted to take it to another level as I was always talking to people one on one trying to explain. I needed a format to keep the conversation going, find a visual where all can see the names and dates. This is how I got started on my documentary for my family history at our ancestral home. On a sunny Monday morning, October 3, 2011 I started my journey to Sweet Home Alabama. Prior to all this, I did much preparation as I could, but sometimes in our research, one has to go to their ancestral place of origin to get information that you just can’t do over the Internet. It was also a personal journey for me after my parents passed in 2008 and 2009; their souls are resting. I arrived in Birmingham and went to the New Grace Hill Cemetery, which on a 1946 death certificate was called Mason City Cemetery—three weeks of trying to find its location and the history. I was there to locate one of Daddy’s brothers named Rev. Obie Lewis. Next it was on to Bullock County, Midway and Union Springs. This is where my earliest ancestor William, 1812, and Minty (Ivey) Ivery, 1834, were to make their roots. They seemed to start using Ivery after Emancipation even though I have both spellings on documents. At times during my visit I felt like was taking a step back into time. Not much had changed. I went to our family church, Mt. Coney Missionary Baptist, which was founded in 1875. I’d written for permission a month in advance to videotape the church. Pastor Robbins was more than welcoming and very accommodating. He gave the history on the church and cemetery, which is where a lot of my ancestors are buried. Ike Ivery is my great-grandmother’s father. I find it ironic that Granny Eddie is buried right beside her father, which was befitting from all the stories I have been told about how close their relationship was when they were living. 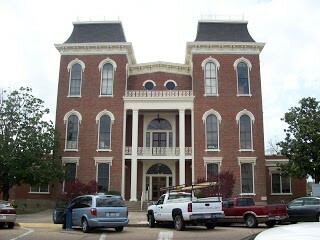 I got to spend two wonderful days in the Bullock County Courthouse, which houses a lot of my family documents, in just-beyond-belief research. I have so many letters and envelopes from the courthouse that I was in “Hog Heaven,” as my mom would say. I enjoyed walking around and going through all the index and map plat books, marriage registers, and the old Union Springs Herald. All the times I had been down home, I was now seeing it through a different pair of eyes. I thoroughly enjoyed the rich history and town. I rummaged through a lot of books that you had to actually walk to flip the page over because they were so huge. I saw books I wouldn’t have been exposed to over the Internet. It was something you have to go there to experience. I was a dust bowl by the time the day was over, my calves were sore from climbing the ladder to get at some book tucked up high, but I couldn’t get enough. The Alabama Department of Archives and History was on my bucket List. I finally made it! I’m also a card carrying member of the Alabama Genealogical Society. Beyond Words. I shed a tear when I got there, how silly! After almost eight years of corresponding over snail mail, I finally got the pleasure and honor of meeting my mentor, Mr. Dean Spratlan, who is the president of the Bullock County Historical Society. This man has taught me patience in doing family research. He shared so much with me over this time I will be eternally grateful. I also learned things from all four of my aunts, ages of 80 to 95. The oral history they gave me was invaluable; all the talking over the phone was nothing compared to sitting and fellowshiping with them in person. A casual conversation with my cousin led to finding a book written by a family member: Glimpse of Providence: “A Black Boy’s Experience in Foreign Lands” by Isaac Robbins that describes a black soldier’s life in Midway, Alabama. Who Knew? Another highlight was finding my own father, James E. Lewis, mentioned in the book, “In Freedom’s Name: The War Years 1941-1945 WW2 Bullock County Veterans” about soldiers in World War 2. Another genealogical gem is the book, “Soldier’s and Sailor’s Discharge Records for Bullock County,” which Mr. Spratlan personally signed the book for me as he was a part of the research in 1996 when this book was written. This trip was not only good for my research, but it did my soul good as well. I needed to go walk the land, see and smell and get a feel for what life might have been like for my ancestors, but also for the family who haven’t left there. As I was leaving Alabama on County Road 82, a truck full of cotton was leading the way. At first I didn’t know what it was blowing all over the place like snow, but then I pulled over and took some home with me, along with a bag full of pecans from my 91-year-old Aunt Sallie Bea. I also got some Alabama red dirt, that in the following week I took to Pennsylvania to place on my parents’ grave. They were born and raised in Midway, Alabama, they might have been part of the Great Migration and left Alabama but Alabama never left them. As the sun was going down, I was leaving town. I hated to leave. I started reflecting and I felt an inner peace like no other, like the ancestors were riding with me. I started to see their faces in everything driving down that highway. With what sun was left on the horizon blaring in my eyes, I felt like my “people” were smiling on me from above. A song came on my radio called “Secret Place” that was right on time and appropriate for my documentary; it was just what I needed to make it complete. I just let the tears fall from joy. The finished work on my documentary can be found at: Granddaddy Ike to True’s Story! Read more In Their Footsteps posts. Thank You So Much Carolyn for the opportunity. It was so good to be among other researchers visiting their Ancestral Roots. True, I have been to visit several of my ancestral places but I have never had the chance to do research while there. That is my goal for this year.